What is the cheapest way to get from Abu Dhabi - Al Wahda Mall to Aloft Abu Dhabi? The cheapest way to get from Abu Dhabi - Al Wahda Mall to Aloft Abu Dhabi is to line 032 bus which costs AED 1 - AED 2 and takes 33m. What is the fastest way to get from Abu Dhabi - Al Wahda Mall to Aloft Abu Dhabi? The quickest way to get from Abu Dhabi - Al Wahda Mall to Aloft Abu Dhabi is to taxi which costs AED 25 - AED 31 and takes 10m. Is there a direct bus between Abu Dhabi - Al Wahda Mall and Aloft Abu Dhabi? 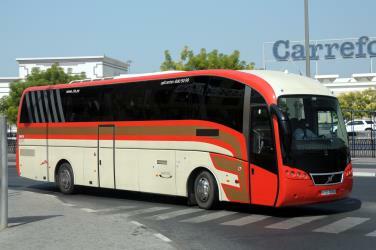 Yes, there is a direct bus departing from Abu Dhabi - Bus Station station and arriving at Abu Dhabi - Embassies Area. Services depart every 15 minutes, and operate every day. The journey takes approximately 18m. How far is it from Abu Dhabi - Al Wahda Mall to Aloft Abu Dhabi? The distance between Abu Dhabi - Al Wahda Mall and Aloft Abu Dhabi is 9 km. The road distance is 12.3 km. How do I travel from Abu Dhabi - Al Wahda Mall to Aloft Abu Dhabi without a car? The best way to get from Abu Dhabi - Al Wahda Mall to Aloft Abu Dhabi without a car is to line 032 bus which takes 33m and costs AED 1 - AED 2. How long does it take to get from Abu Dhabi - Al Wahda Mall to Aloft Abu Dhabi? 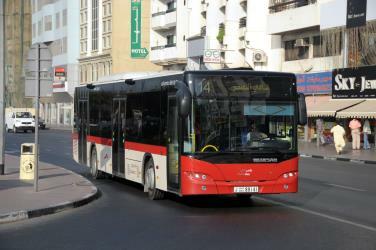 The line 032 bus from Abu Dhabi - Bus Station to Abu Dhabi - Embassies Area takes 18m including transfers and departs every 15 minutes. Where do I catch the Abu Dhabi - Al Wahda Mall to Aloft Abu Dhabi bus from? Abu Dhabi - Al Wahda Mall to Aloft Abu Dhabi bus services, operated by Dubai RTA Bus, arrive at Abu Dhabi - Bus Station. Where does the Abu Dhabi - Al Wahda Mall to Aloft Abu Dhabi bus arrive? Abu Dhabi - Al Wahda Mall to Aloft Abu Dhabi bus services, operated by Dubai RTA Bus, arrive at Abu Dhabi - Embassies Area station. Can I drive from Abu Dhabi - Al Wahda Mall to Aloft Abu Dhabi? Yes, the driving distance between Abu Dhabi - Al Wahda Mall to Aloft Abu Dhabi is 12 km. It takes approximately 10m to drive from Abu Dhabi - Al Wahda Mall to Aloft Abu Dhabi. Where can I stay near Aloft Abu Dhabi? There are 147+ hotels available in Aloft Abu Dhabi. Prices start at AED 169 per night. What companies run services between Abu Dhabi - Al Wahda Mall, United Arab Emirates and Aloft Abu Dhabi, United Arab Emirates? 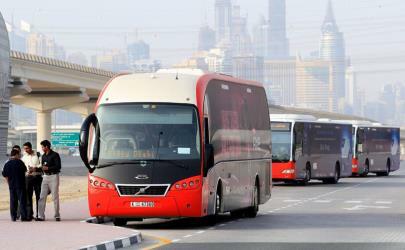 Dubai RTA Bus operates a bus from Abu Dhabi - Al Wahda Mall to Aloft Abu Dhabi every 15 minutes. Tickets cost AED 1 - AED 2 and the journey takes 18m. Rome2rio's Travel Guide series provide vital information for the global traveller. Read our range of informative guides on popular transport routes and companies - including How to get from Heathrow Airport into central London, Is ride-sharing platform BlaBlaCar right for you? and Which London airport should I choose? - to help you get the most out of your next trip. The Emirates Palace (Arabic: قصر الإمارات) is a luxury hotel in Abu Dhabi, United Arab Emirates operated by Kempinski and opened in February 2005. Masdar City (Arabic: مدينة مصدر, Madīnat Maṣdar) is a planned city project in Abu Dhabi, in the United Arab Emirates. Its core is being built by Masdar, a subsidiary of Mubadala Development Company, with the majority of seed capital provided by the Government of Abu Dhabi. Designed by the British architectural firm Foster and Partners, the city relies on solar energy and other renewable energy sources. Masdar City is being constructed 17 km east-south-east of the city of Abu Dhabi, beside Abu Dhabi International Airport. The Louvre Abu Dhabi is a museum, located in Abu Dhabi, UAE. On Tuesday 7 March 2007, the Louvre in Paris announced that a new Louvre museum would be completed by 2012 in Abu Dhabi, with a revised estimate in early 2013 for a completion date of 2015. The opening has been repeatedly delayed, first to late 2016 and most recently to November 2017. This is part of a thirty-year agreement between the city of Abu Dhabi and the French government. The museum is to be located on the Saadiyat Island Cultural District, and will be approximately 24000 m2 in size. The final cost of the construction is expected to be between €83 million and €108 million. In addition, US$525 million was paid by Abu Dhabi to be associated with the Louvre name, and an additional $747 million will be paid in exchange for art loans, special exhibitions and management advice. Zayed National Museum (Arabic: متحف زايد الوطني) is a planned museum, to be located in Abu Dhabi, UAE. It will be built on Saadiyat Island. The museum will be the centrepiece of the Saadiyat Island Cultural District and will showcase the history, culture and, more recently, the social and economic transformation of the Emirates. Rome2rio makes travelling from Abu Dhabi - Al Wahda Mall to Aloft Abu Dhabi easy. Rome2rio is a door-to-door travel information and booking engine, helping you get to and from any location in the world. Find all the transport options for your trip from Abu Dhabi - Al Wahda Mall to Aloft Abu Dhabi right here. Rome2rio displays up to date schedules, route maps, journey times and estimated fares from relevant transport operators, ensuring you can make an informed decision about which option will suit you best. Rome2rio also offers online bookings for selected operators, making reservations easy and straightforward.